Pale silvery pink color. Aromas of mixed melon balls, parmesan rind, spiced apple butter, and wool with a silky, crisp, effervescent, fruity light-to-medium body and a smooth, relaxed cherry confection and fruit cup finish. A fruity sparkler for weeknight celebrations. Bottom Line: A fruity sparkler for weeknight celebrations. 90 • Alexander Grappa Bianca 40% (Italy) $37.99. 92 • Alexander Grappa di Cabernet 40% (Italy) $39.99. 88 • Alexander Grappolo 40% (Italy) $105.00. 92 • Alta Luna 2014 Phases Rosso, Vigneto delle Dolomiti IGT 13% (Italy) $13.99. 88 • Alta Luna 2016 Pinot Grigio, Vigneto delle Dolomiti IGT 12.5% (Italy) $13.99. 88 • Alta Luna 2015 Pinot Noir, Vigneto delle Dolomiti IGT 12.5% (Italy) $13.99. 92 • Alta Luna 2016 Sauvignon Blanc, Vigneto delle Dolomiti IGT 12.5% (Italy) $13.99. 89 • Altemasi NV Brut Sparkling, Trento 12.5% (Italy) $23.99. 89 • Bottega Vinaia 2016 Estate Bottled, Pinot Grigio, Trentino 13% (Italy) $17.99. 87 • Bottega Vinaia 2015 Estate Bottled, Pinot Noir, Trentino 13% (Italy) $17.99. 91 • Boulard Calvados VSOP 40% (France) $49.99. 88 • Boulard Calvados Pays d’Auge XO 40% (France) $89.99. 83 • Cavit 2016 Moscato, Delle Venezie IGT 7% (Italy) $8.99. 89 • Cavit 2016 Oak Zero, Chardonnay, Trentino 12.5% (Italy) $8.99. 88 • Cavit 2017 Pinot Grigio, Delle Venezie IGP 12% (Italy) $8.99. 89 • Cavit 2016 Pinot Noir, Provincia di Pavia IGP 12% (Italy) $8.99. 89 • Cavit 2017 White Moscato, Tre Venezie 7.5% (Italy) $8.99. 85 • Cavit 2017 Rosé, Tre Venezie 12% (Italy) $8.99. 90 • Cavit 2017 Oak Zero, Chardonnay, Trentino 12.5% (Italy) $8.99. 89 • Cavit NV Prosecco DOC 11% (Italy) $14.99. 93 • Gran Duque De Alba Solera Grand Reserva Brandy 40% (Spain) $45.99. 86 • Lunetta NV Prosecco DOC 11% (Italy) $13.99. 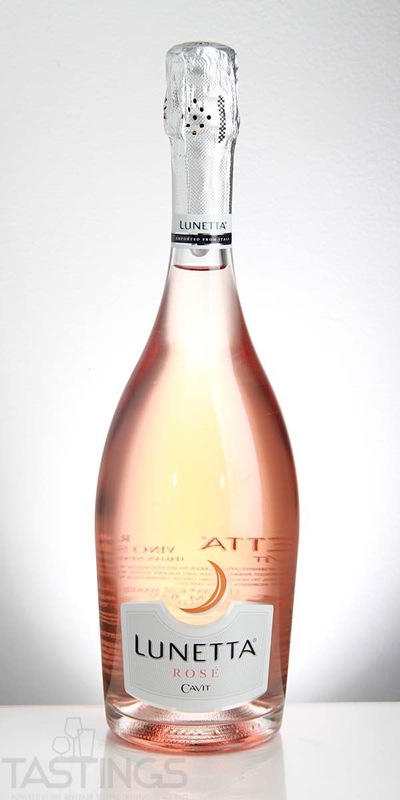 87 • Lunetta NV Sparkling Rosé, Italy 11.5% (Italy) $13.99. 92 • Lunetta NV Prosecco 11% (Italy) $13.99. 84 • Lunetta NV Rosé Spumante, Italy 11.5% (Italy) $13.99. 90 • Lunetta NV Prosecco DOC 11% (Italy) $14.99. 87 • Lunetta NV Sparkling Rosé, Italy 11.5% (Italy) $14.99. 86 • Marquis de la Tour NV Brut Sparkling, France 11% (France) $12.99. 80 • Marquis de la Tour NV Ice Sparkling, France 11% (France) $15.99. 84 • Midnight Black NV Rosé, Vigneto delle Dolomiti IGT 12.5% (Italy) $.00. 89 • Peter Yealands 2016 Pinot Noir, Marlborough 13.5% (New Zealand) $18.99. 86 • Peter Yealands 2016 Sauvignon Blanc, Marlborough 13% (New Zealand) $29.99. 90 • Peter Yealands 2016 PGR White Blend, Marlborough 12.5% (New Zealand) $15.99. 90 • Ravo Vodka 40% (Sweden) $22.99. 94 • Tequila Bribon Tequila Blanco 40% (Mexico) $24.99. 90 • Yealands Estate 2016 S1 Single Block, Sauvignon Blanc, Awatere Valley-Marlborough 13% (New Zealand) $14.99. 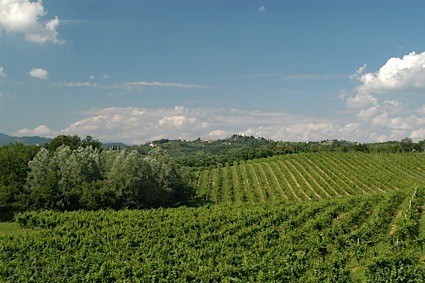 Lunetta NV Rosé Spumante, Italy rating was calculated by tastings.com to be 84 points out of 100 on 5/9/2018. Please note that MSRP may have changed since the date of our review.